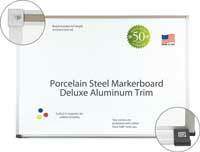 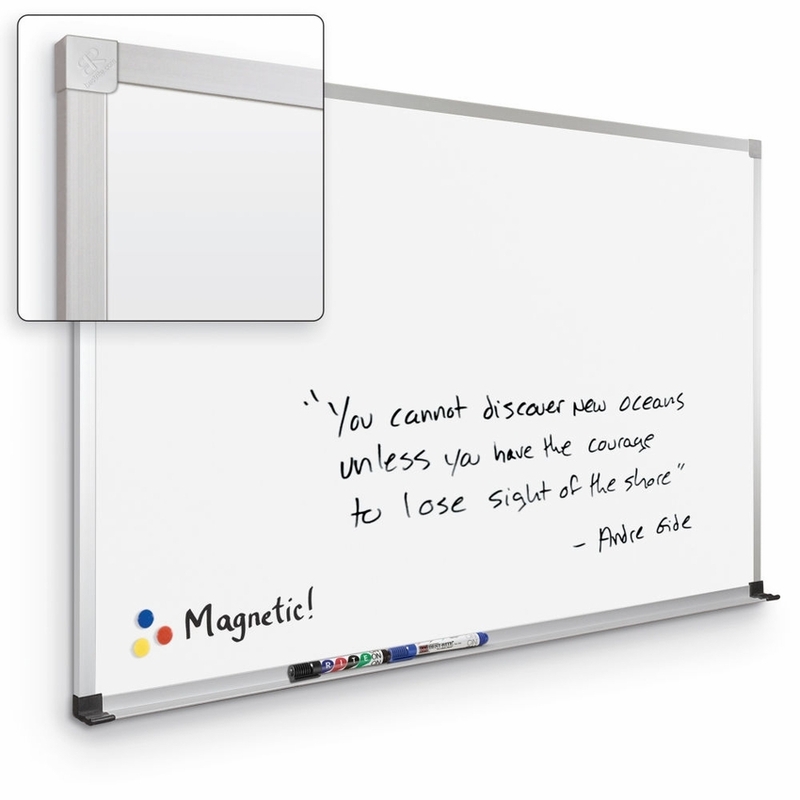 These porcelain steel white boards feature anodized aluminum ABC Trim; hairline mitered corners and plastic end caps help create a totally seamless look, particularly with a .88" profile. 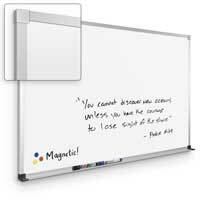 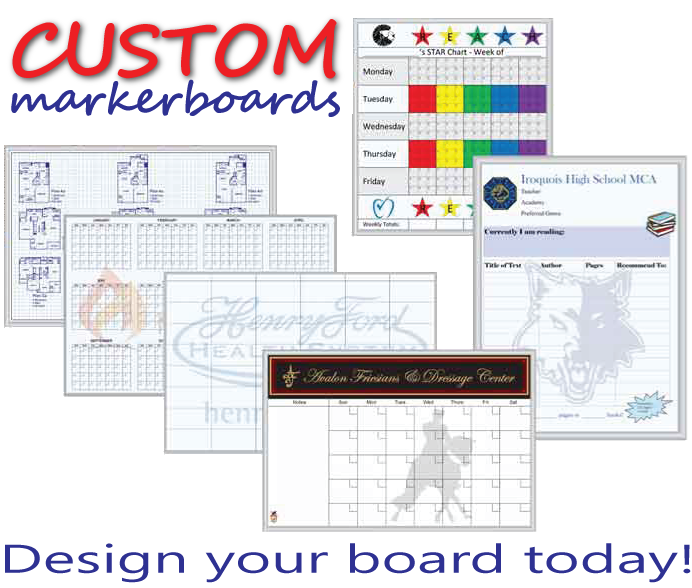 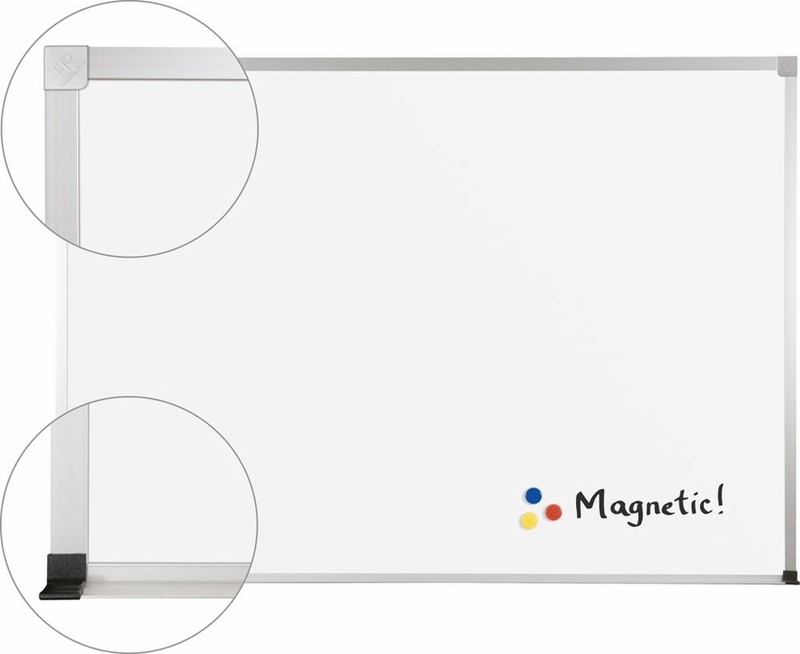 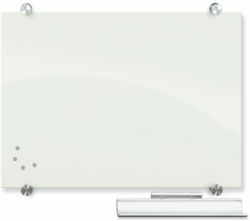 The magnetic porcelain steel whiteboard is laminated to an MDF substrate; this makes the entire board more durable and stable. 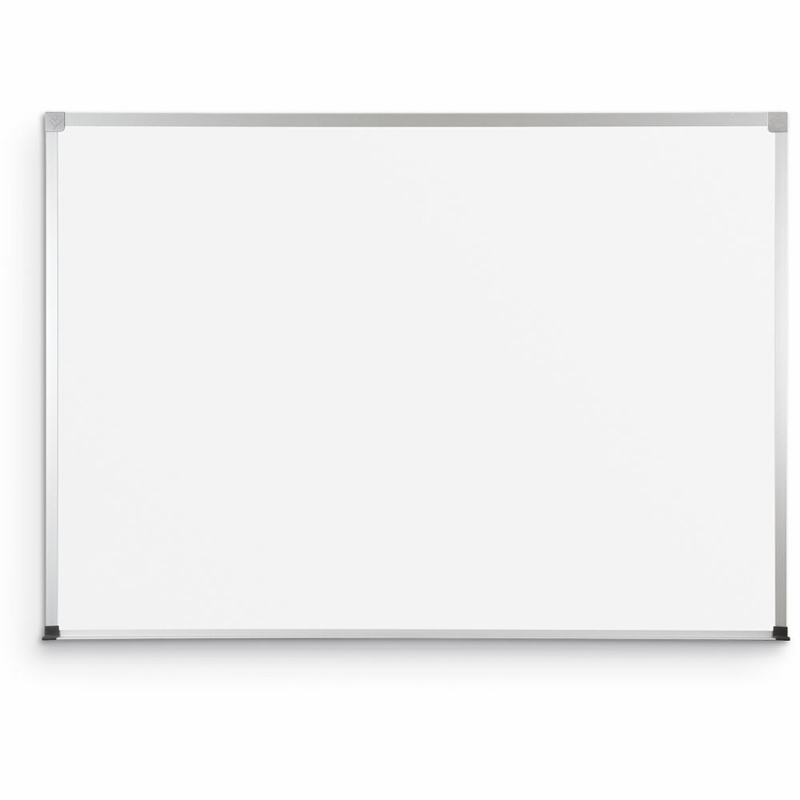 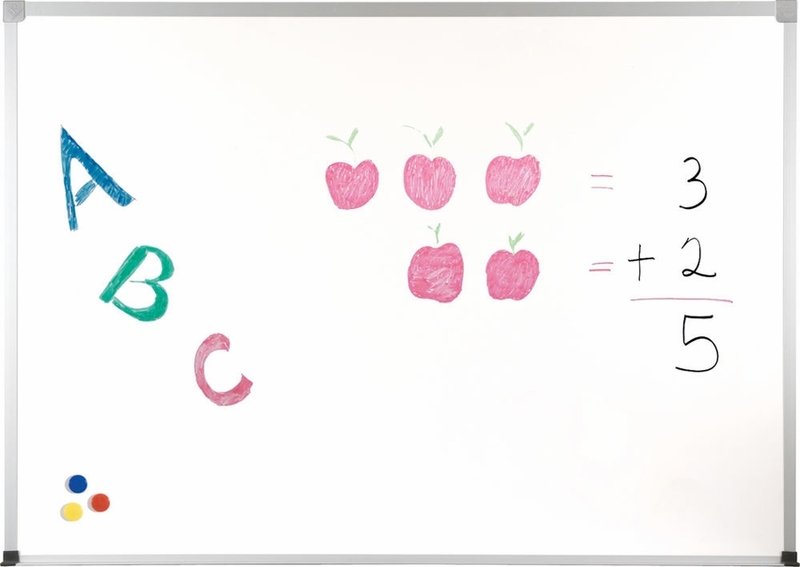 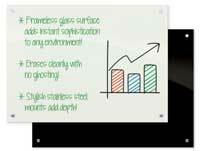 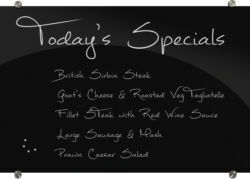 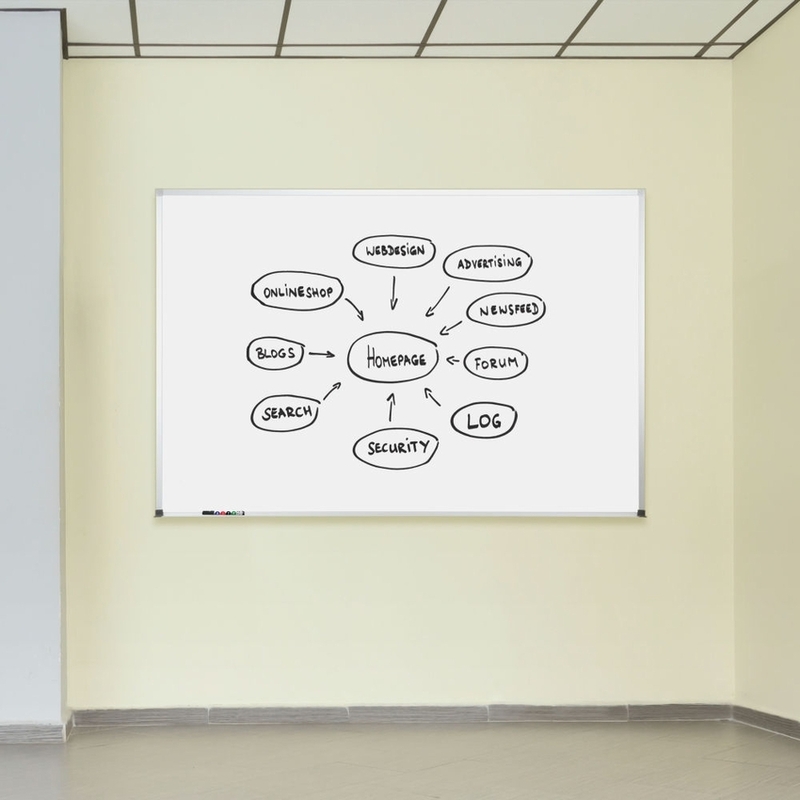 The surface of the whiteboard enhances your presentations in every way possible -- low light distortion makes your writings and illustrations easy on the eye, and no ghosting will ever obscure the point you're trying to make. 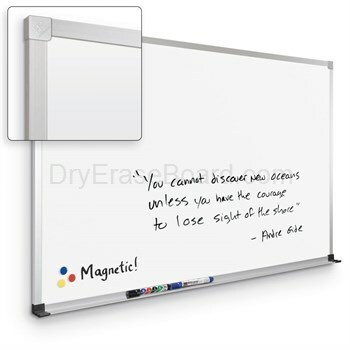 Erasability and writability always remain superior on these whiteboards. 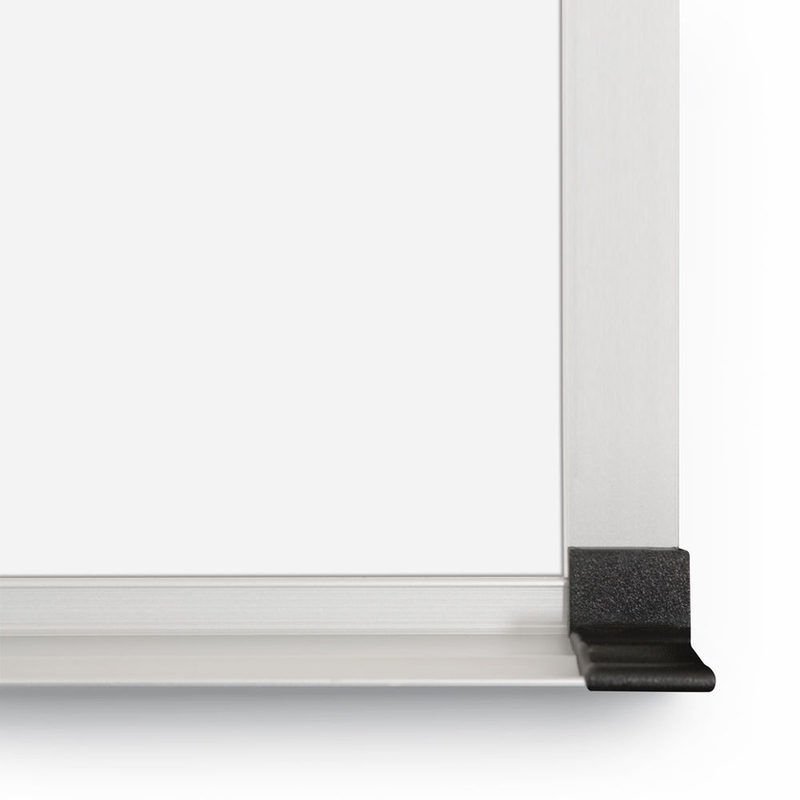 Comes with a tackable map rail that runs the length of the board and comes with end stops. 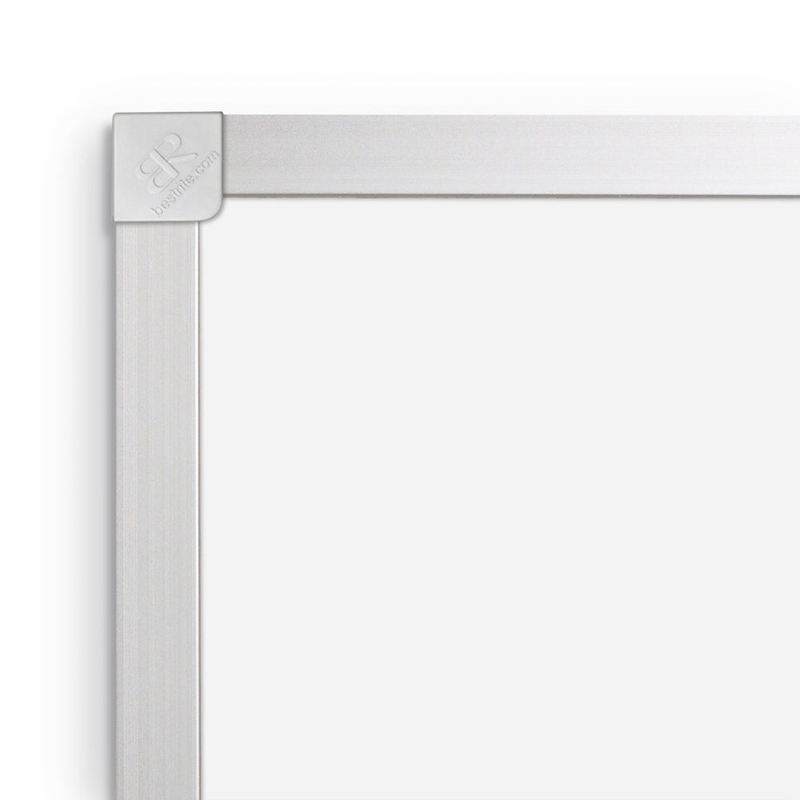 Backed by TAA compliance, a fifty year guarantee, GREENGUARD GOLD Certification, and a class A fire rating.